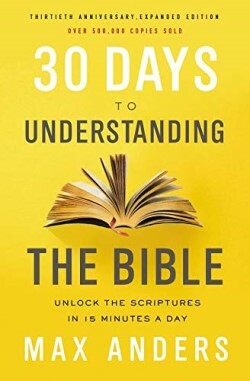 Summary: If you’ve ever confused the ark of the covenant with the ark of Noah, or Jericho with Jeroboam, Max Anders’ classic book, 30 Days to Understanding the Bible, is for you. In just fifteen minutes a day, you’ll learn the Bible’s key people, events, and doctrines to get more out of God’s Word. This simple-to-use, straightforward guide has been recommended by Bible teachers and pastors for thirty years, and now it’s available in an expanded thirtieth anniversary edition—with the most requested topics from the original edition restored and updated for today’s readers. I became a Christian 5 years ago and I still haven’t read the Bible all the way through which meant I was confused a lot when certain things were mentioned at Church or in books or blog posts. I still fully intend to get through the Bible of course and then read parts of it over again. But in the meantime, I want to have an overview of the Bible and what all of it contains. 30 Days to Understand the Bible is designed to be used for 15 minutes a day for 30 days. I read it in 2.5 days because I prefer to get through books fast. I feel confident that I can say though that it would work well using as designed. 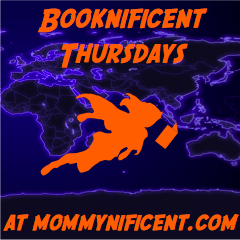 If you don’t have a lot of time to read or prefer the slower pace, 15 minutes a day would work just fine. This book is awesome. There are blanks and charts to fill out as you go to help you not just read the information but really take it in. Since I read it quickly, I didn’t fill in EVERY blank line but if you do it in 15 minute spurts, you will definitely find the blanks helpful. Repetition is the key to learning. The book has a couple of different sections. Section 1 is the Story of the Old Testament, Section 2 is the Story of the New Testament, Section 3 covers the Ten Great Doctrines of the Bible, Section 4 is a NanoSummary of the Bible, Section 5 tells you how to master the Bible so that the Bible masters you, Section 6 is a Teaching Plan if you will be teaching from the book and Section 7 is bonus chapters which include a comparison of the four gospels, the parables of Jesus, The Resurrection of Jesus Christ and more.